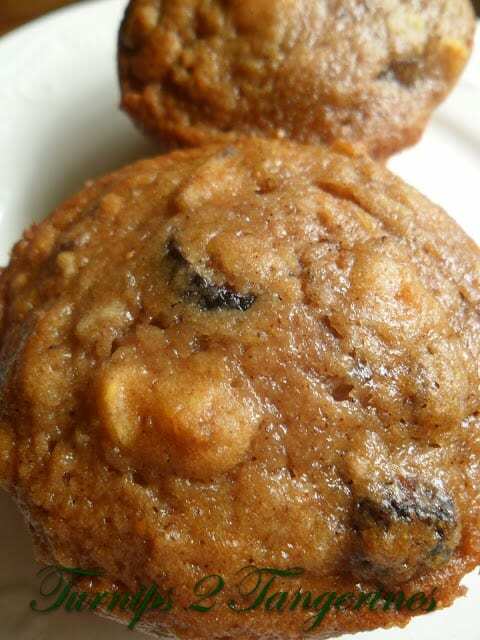 Muesli applesauce muffins are a delicious way to start your day. 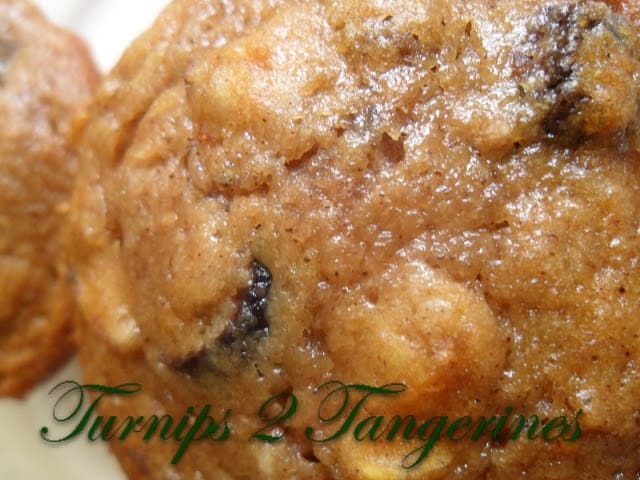 Made with muesli cereal, applesauce, and a cup of your favorite dried fruit. I found the recipe for these muffins on the back of the box of muesli cereal. Purchase muesli cereal at any supermarket or health food store. The variety of muesli I purchased had raisins and dates, so for my extra dried fruit I added dried cherries. Chopped fresh apples would be a great addition to this recipe also. 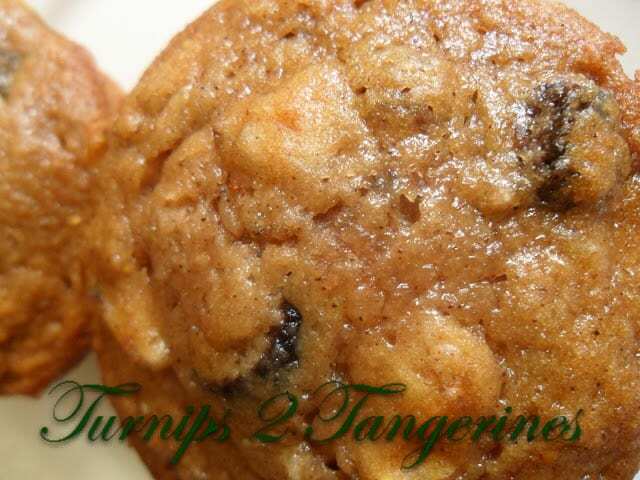 Muesli applesauce muffins are delicious and good for you too. Enjoy them with a drizzle of honey. Muesli [MYOOS-lee] was developed as a health food by Swiss nutritionist Dr. Bircher-Benner near the end of the 19th century. Muesli has since become a popular breakfast cereal. The German word muesli means “mixture,” and can include raw or toasted cereals such as oats, wheat, millet, barley. Dried fruits such as raisins, apricots, dates and cranberries. Nuts, bran, wheat germ, sugar and dried-milk solids can also be included in the mix. Muesli is most often eaten with milk, yogurt or fruit juice. Preheat oven to 375. Grease 12-cup muffin tin. In a large bowl with wire whisk, beat the applesauce, oil, sugar, egg and juice together for 2 minutes. In a medium bowl combine flour, baking soda, cinnamon, allspice, salt and Muesli cereal. Add the dry ingredients to the applesauce mixture. Add dried fruit of your choice. Stir just until combined. Spoon batter into the prepared muffin tins, filling each cup 3/4 cup full. Bake for 20 to 25 minutes or until the tops are golden brown and spring back when touched. Remove muffins from pans and cool on wire rack.